Why does fabric quality matter for retail, exhibit houses and event designers? There is a substantial budget of money and time for merchandising graphics and branding from the initial creative concept to the models, art design, photo shoots, to lighting, color and finish. As a result, to have the best brand impression for all the work and time you put into those images you want to have the best “finish” or print possible. We will over the next few weeks and go into detail the keys to a superb finished product. One of the keys to the best finish is the material used for the graphic image which can be compared to the quality of the photo paper if you ever print your photos. A higher-end photo paper is going to make your photo pop…it’s a simple as that. You do not print photos…just think business cards, wedding invitations, book the quality of the paper is clear to the recipient from the feel, thickness, look and finish of the printing. The same goes for fabrics. We spend an immense amount of time working on the quality and characteristics of our fabrics. We work with mills all over the world that work collaboratively with our experts to deliver the fabric characteristics. This collaborative approach really allows our fabrics to have their own “superpowers”. We have worked relentlessly over 3 years in R and D to create our newest backlit McRae fabric called Vivid. 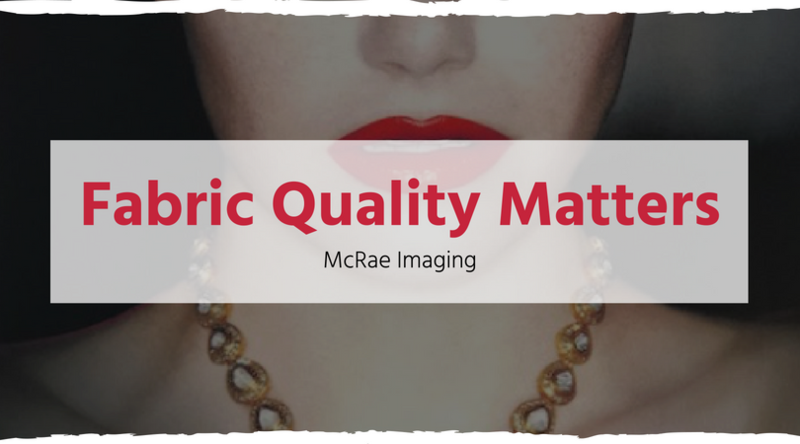 Developed exclusively by us, for us, there is no other fabric to compare with the properties of McRae Vivid. We have many proprietary fabrics. We have all sorts of specialty fabrics from Fence Mesh, to sheer fabric to fabric perfect for banners and displays. These fabrics are great for indoor and outdoor spaces. They are high quality and make a bold statement and impression for folks passing by. One amazing thing about fabrics compared to using other substrates is that it is 100% recyclable. If you are finished using the fabric panel, it can be shipped back to us and we will gladly recycle it for you. If you would like a fabric sample we would love to send you one, please contact marketing@mcraeimaging.com.